Entry filed under: Blog, internet, web. Make the ‘Run Command’ appear on Vista	Sorry for a week of absence! It should be noted that this is against the Terms of Service on WordPress.com blogs, like this one. 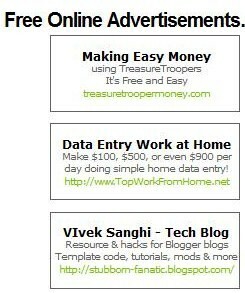 I know you are not allowed to put ads on the free version of WordPress, I have not put ads on my site. But I am only recommending it to other people who have a blog or site on another hosting service that allows advertisement.